The analysis of lubricant evidence is a recent development in sexual assault investigations and in the absence of any biological evidence may assist in linking an assailant to the victim or crime scene. 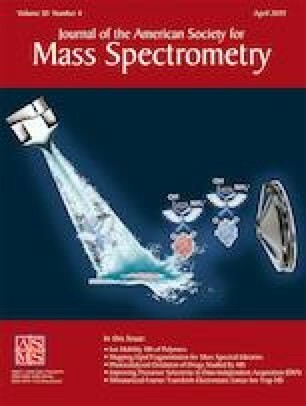 An ambient ionization technique, high-resolution direct analysis in real-time mass spectrometry (HR-DART-MS), was employed to characterize a sample set of 33 water-based lubricants. As lubricants are complex multicomponent mixtures, this study investigated if different thermal desorption temperatures could elucidate different additives and provide additional information. A low-temperature, high-temperature, and thermal desorption/pyrolysis DART-MS protocol was used to characterize the water-based lubricant sample set. 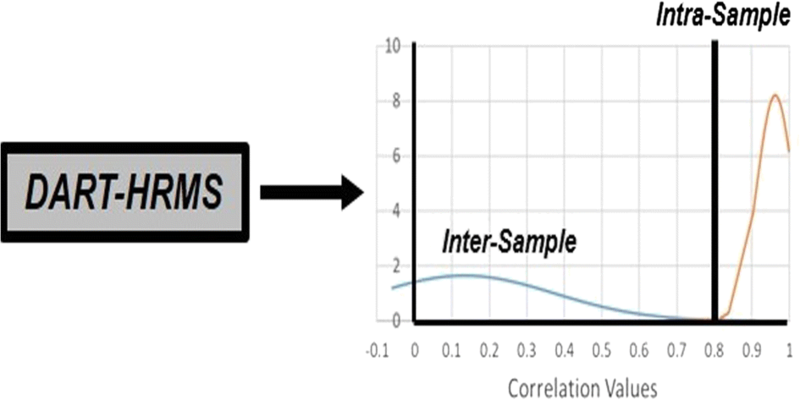 The strength of the methodologies was evaluated using positive and negative likelihood ratios that were calculated from inter- and intra-pairwise comparisons using Pearson correlation coefficients. The low-temperature DART-MS protocol afforded valuable information pertaining to volatile additives (e.g., flavors and fragrances) and provided positive likelihood ratios that would provide strong support for true positive and negatives than the high-temperature protocol when associating between individual samples and samples to their respective sub-groupings. The thermal desorption/pyrolysis DART analytical protocol provided enhanced differentiation between samples due to the precise temperature control using a thermal gradient. Moreover, the total ion spectra obtained from the thermal desorption/pyrolysis protocol, not only had high positive and negative likelihood ratios, this method also provided the most discrimination as determined by empirical cross entropy plots. The online version of this article ( https://doi.org/10.1007/s13361-019-02158-x) contains supplementary material, which is available to authorized users. The authors would like to acknowledge Chikako Takei at BioChromato for providing the ionRocket used in this research. This work was supported by the State of Florida (USA) and by the National Institute of Justice (USA) [Grant No. 2016-DN-BX-0001].